The National Institute of Medical Health (NIMH) states that major depression is one of the most common mental disorders in the United States. There are several types of treatment that may help, including medications and counseling. Sometimes, the side effects of medications are problematic, however. Maybe you don’t have full-blown major depression, but you’re going through a difficult time in your life. You may long for a solution that doesn’t include drugs. It turns out that there are several natural ways to manage and treat depression. While it’s always important to talk to your doctor to avoid serious complications, you can take control of your own condition by making some lifestyle changes that can have you feeling better soon. We often use the word “depression” when referring to a number of conditions that, though they may be similar, aren’t exactly the same. Most involve feelings of sadness, apathy and fatigue, but the causes and the severity vary. All of these types of depression are different from that “sad” or “low” feeling that many of us experience at one time or another. That type of depression is usually called “situational” depression or, more simply, “the blues.” Unlike the others listed above, it is not characterized as an official mental illness, but the symptoms are similar. This type of depression is brought on by events in life that are difficult to cope with, but that doesn’t mean we should ignore it. If it continues for too long, it can develop into a real mental illness like major depression or persistent depressive disorder. Symptoms include feelings of sadness, fear, and hopelessness and, often, grief. 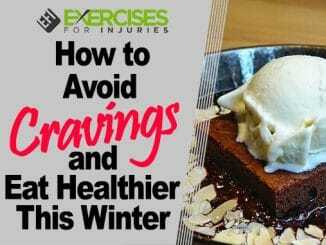 They may also include physical problems like headaches, fatigue, stomach aches, muscle aches and pains and changes in eating or sleeping habits. We all go through difficult times in our lives. How can we tell if we’re really depressed? First, you can ask yourself a few questions. “Mental Health America” has a depression test that asks: During the past month, how often have you been bothered by the following? Then, they ask you if these problems have made it difficult for you at work, home or in your relationships. Your answers to these questions can give you some insight into your own situation. The more you’re feeling these types of symptoms, the more likely you are to be depressed. Once you’ve looked at the symptoms, ask yourself: How long have you been feeling this way, and how bad is it? If you’ve been depressed for three months or longer, that’s usually a red flag. If you’re having severe symptoms, including thoughts of suicide, that’s also a sign that you need immediate treatment. The best approach, even if you’re not sure, is to see a psychiatrist for a diagnosis. Treatment is more likely to be effective if you know which type of depression you’re dealing with. If you have major depression, for example, you may respond better if your doctor prescribes medications in addition to counseling than if you take counseling alone. A thorough checkup can also eliminate any physical illnesses that may be contributing to your symptoms. Counseling is also the best treatment for situational depression as it can help you learn new ways to cope with your difficult life situation. If you’re regularly meeting with a professional, he or she can monitor your progress, to make sure you don’t slip back into a more severe type of depression. We strongly recommend that, if you suspect you may be depressed, you see your psychiatrist right away. The condition can be very serious, and you owe it to yourself to get some help. If you’re sure you are experiencing only situational depression, or “the blues,” it’s still a good idea to see a counselor as that is likely to be your fastest route to feeling better. 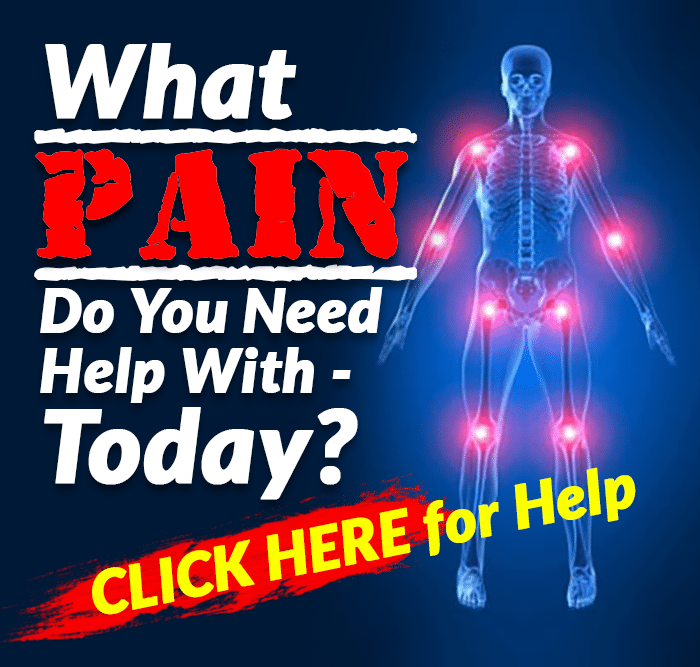 In addition, there are a number of natural approaches you can take to help yourself feel better. We’ve got 10 of the best ones listed below. 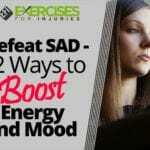 Exercise is by far one of the best treatments for depression. Getting your body moving helps stimulate a number of internal processes that help you feel more energy, clarity and positivity. One review of more than 26 years’ worth of research on depression found that even moderate physical activity, such as occurs when you take a 20- to 30-minute walk, can keep depression at bay no matter how old you are. A more recent study of 30,000 adults found that those who didn’t exercise were almost twice as likely (44 percent) to suffer from depression, compared to those who were exercising 2 hours a week. Exercise doesn’t just prevent depression, however. It can also help treat it. In 2004, researchers reported that exercise “is a behavioral intervention that has shown great promise in alleviating symptoms of depression.” Exercise releases the body’s “feel-good” chemicals called endorphins and also encourages the release of proteins that promote new connections in the brain that can improve your mood. It doesn’t have to be complicated. Go for a walk or an easy jog. If you don’t feel like it, tell yourself you’ll go for only 5 minutes. Once you get started, you’ll likely go for longer and, even if you don’t, that 5 minutes will help. Scientists have found a strong connection between sleep and depression. In a 2008 study, they reported that about three-quarters of depressed patients have symptoms of insomnia. Even worse, they found that these symptoms have a major impact on quality of life and are a strong risk factor for suicide. The connection is so strong that studies have found that those who suffer from insomnia have a tenfold risk of developing depression down the road compared to those who sleep well. Scientists have found that exposure to light can help boost mood and ease the symptoms of depression. For a long time, though, they believed that so-called “light therapy” was helpful only in people suffering from SAD. However, in a recent study, they found that light can help in major depression too. Researchers tested light therapy and antidepressants in patients with major depressive disorder and found that light therapy together with antidepressants created significant improvements and that light therapy alone was more effective than antidepressants alone. To take advantage of this treatment, get out in the sun as much as you can, and on cloudy and bad-weather days, use a light box specifically made to treat depression. You may not have kept a diary since you were a teenager or maybe you never did at all, but if you’re feeling depressed, now may be the time to start. The University of Rochester Medical Center says that journaling provides a healthy outlet for your thoughts and emotions, helps reduce stress and anxiety and makes it easier for you to cope with depression. For the best results, write every day and don’t edit yourself. Write freely, without worry about spelling or grammar. Write down your concerns, ideas, disappointments, feelings and thoughts. It will help if you record symptoms you experience and include information like what you were doing, what time of day it was and anything else that strikes you as important. Use your journal as a way to detect what’s going on in your head and your heart, so you can learn how to help yourself feel better. Vitamin D and the B-complex vitamins have research behind them as being helpful in depression. Studies have found, for example, that depressed patients often have low levels of folate and vitamin B12, to the point that researchers suggested treatment with 800 micrograms of folic acid daily, along with 1 milligram (1,000 mcg) of vitamin B12 daily to improve outcomes. Some studies have also found a link between depression and low levels of vitamin D. The body naturally makes vitamin D when the skin (minus sunscreen) is exposed to the sun. We know that the sun helps prevent and treat depression. Could vitamin D be part of that equation? In a 2011 study, researchers stated, “Most individuals in this country have insufficient levels of vitamin D.” They also reported that treatment of inadequate vitamin D levels in patients with depression could improve long-term health and quality of life. In a 2013 meta-analysis, researchers found that participants with depression had low vitamin D levels and that people with low vitamin D were at a much greater risk for depression. Finally, a 2005 study found vitamin D receptors in the same areas of the brain associated with depression. You can’t get enough vitamin D from food, so get out into the sun, and talk to your doctor about supplements. Doses of 400-1,100 IU of vitamin D have been used to help improve symptoms of depression. You’ve probably heard that omega-3 fatty acids, found in fish and, in some other foods, can help reduce inflammation and may help reduce the risk of heart disease. We also have research showing that these fatty acids may help in depression. In a 2004 study, for example, researchers reported an association between omega-3 fatty acids and major depressive disorder. There seems to be a connection between eating fish and seafood and a lower prevalence of depression. A higher consumption of these foods has also been connected with lower rates of postpartum depression, bipolar disorder and SAD. Scientists have also found that depressed patients have lower levels of omega-3s in their systems. We have evidence showing that omega-3 supplements — particularly in krill oil — significantly improve depressive symptoms. Fish oil supplements have also been found to be helpful in major depression and other types as well. Regularly eating fish and other foods rich in omega-3 fatty acids like walnuts, chia seeds, flaxseed, and olive oil, can help prevent depression. If you’re already suffering symptoms, talk to your doctor about supplements. You’ve probably heard that yogurt because it contains probiotics can help ease digestion. But, research is showing that these little organisms may have a number of other health benefits too, including easing depression. In a recent 2017 study, for example, researchers found that patients who were depressed and who suffered from irritable bowel syndrome (IBS) experienced improvements in both after treatment with probiotics. Brain imaging tests also found that the improvement in the depression scores was associated with changes in brain areas involved in mood control. In a second 2017 study, researchers tested probiotics in depressed patients and found that after just four weeks, they helped improve mood, sleep and the ability to enjoy daily activities. The results were still there after eight weeks. You can eat more fermented foods rich in probiotics like yogurt, kefir, miso, kombucha, sauerkraut, tempeh, kimchi and pickles, or you can talk to your doctor about supplements. Supplements typically deliver higher doses of probiotics, so if you’re suffering from depression already, they may be the best option at least in the short-term. 5-HTP: This is a nutrient that is readily synthesized into serotonin — the “good mood” neurotransmitter. Derived from the seeds of the African plant Griffonia simplicifolia, it has been studied in depression and found to help increase serotonin levels. A typical dose is 300 to 500 mg once daily or in divided doses. Check with your doctor first. Long-term use is associated with side effects, so short-term use is best. 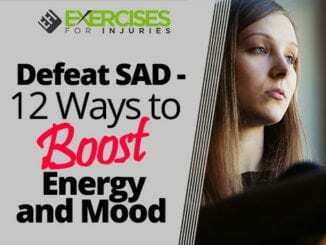 SAM-e: A naturally occurring molecule present in all living cells, SAM-e has been found in some studies to work just as well as antidepressants in treating major depressive disorder and, in other studies to work better than tricyclic antidepressants. The best results have been seen with intravenous and injection therapy, although oral supplements have also shown to be effective. The typical dose is 800 to 1,600 milligrams daily for up to 6 weeks. L-theanine: This is an amino acid found in green tea, and studies have found that supplements can help reduce symptoms of depression and improve cognitive function in people with depression. In a recent 2017 study, 8 weeks of supplements (250 mg/day) improved symptoms of depression and anxiety, sleep and cognitive function. Could a downward dog really help make you feel better? Studies suggest it might. 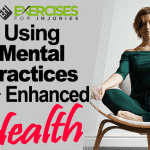 When researchers had depressed veterans participate in twice-weekly yoga classes for eight weeks, they found that after the study was over, the vets had a significant reduction in depressive symptoms. Could a downward dog help make you feel better? Studies suggest it might. When researchers had depressed veterans participate in twice-weekly yoga classes for eight weeks, they found that after the study was over, the vets had a significant reduction in depressive symptoms. Another study in 2017 found that yoga classes helped alleviate depression symptoms more effectively than standard health education. Yoga is good for your health in general, so you really can’t lose if you try it. When you’re depressed, it may not seem like a good idea to sit and try to clear your mind. All those negative thoughts could come up. But studies show that “mindfulness therapy,” which includes meditation, can be an effective treatment for depression. In fact, some studies have found that it’s just as effective as antidepressants. In 2016, for example, a large analysis of research on the subject showed that mindfulness-based therapy helped people just as much as antidepressants, without any side effects. 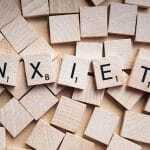 On top of that, those that received the mindfulness therapy were 31 percent less likely to suffer a relapse during the next 60 weeks. An earlier 2014 review of 47 trials with more than 3,500 participants also found that mindfulness meditation improved anxiety, depression and pain. The idea is to train your mind to recognize negative thoughts and let them pass by, rather than believing them or engaging with them as much. To get started, take a mindfulness meditation class in your area or try some guided recordings like those you can find online. “Six common depression types,” Harvard Health, January 2017, https://www.health.harvard.edu/mind-and-mood/six-common-depression-types. “Depression Test,” Mental Health America, http://www.mentalhealthamerica.net/mental-health-screen/patient-health. 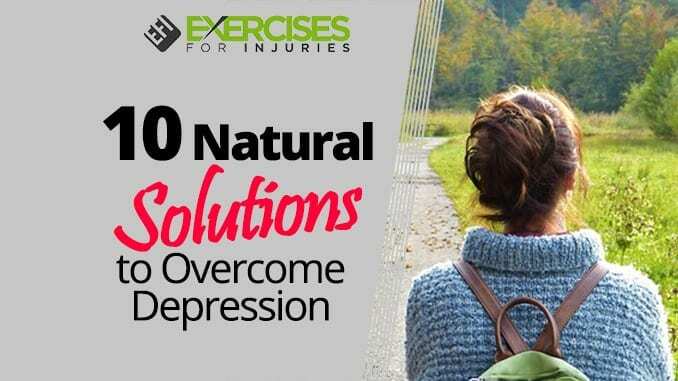 “25 Studies Confirm: Exercise prevents Depression,” Psychology Today, October 29, 2013, https://www.psychologytoday.com/blog/the-athletes-way/201310/25-studies-confirm-exercise-prevents-depression. 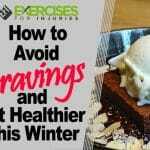 “Moderate exercise not only treats, but prevents depression,” University of Toronto, [Press Release], October 25, 2013, https://media.utoronto.ca/media-releases/moderate-exercise-not-only-treats-but-prevents-depression/. Samuel B. Harvey, et al., “Exercise and the Prevention of Depression: Results of the HUNT Cohort Study,” The American Journal of Psychiatry, October 03, 2017, http://ajp.psychiatryonline.org/doi/10.1176/appi.ajp.2017.16111223. Lynette L. Craft, Frank M. Perna, “The Benefits of Exercise for the Clinically Depressed,” Prim Care Companion J. Clin Psychiatry, 2004; 6(3):104-111, https://www.ncbi.nlm.nih.gov/pmc/articles/PMC474733/. “Exercise is an all-natural treatment to fight depression,” Harvard Health Letter, August 2013, https://www.health.harvard.edu/mind-and-mood/exercise-is-an-all-natural-treatment-to-fight-depression. David Nutt, et al., “Sleep disorders as core symptoms of depression,” Dialogues Clin Neurosci., September 2008; 10(3):329-336, https://www.ncbi.nlm.nih.gov/pmc/articles/PMC3181883/. Taylor DJ, et al., “Epidemiology of insomnia, depression, and anxiety,” Sleep, November 2005; 28(11):1457-64, https://www.ncbi.nlm.nih.gov/pubmed?Db=pubmed&Cmd=ShowDetailView&TermToSearch=16335332&ordinalpos=9&itool=EntrezSystem2.PEntrez.Pubmed.Pubmed_ResultsPanel.Pubmed_RVDocSum. Raymond W. Lam, et al., “Efficacy of Bright Light Treatment, Fluoxetine, and the Combination in Patients with Nonseasonal Major Depressive Disorder,” JAMA Psychiatry, 2016; 73(1):56-63, https://jamanetwork.com/journals/jamapsychiatry/fullarticle/2470681. “Journaling for Mental Health,” University of Rochester Medical Center, https://www.urmc.rochester.edu/encyclopedia/content.aspx?ContentID=4552&ContentTypeID=1. “Writing Your Way Out of Depression,” WebMD, 2002, https://www.webmd.com/depression/features/writing-your-way-out-of-depression. Coppen A., Bolander-Gouaille C, “Treatment and depression: time to consider folic acid and vitamin B12,” J Psychopharmacol., January 2005; 19(1):59-65, https://www.ncbi.nlm.nih.gov/pubmed/15671130. Sue Penckofer, et al., “Vitamin D and Depression: Where is All the Sunshine,” Issues Ment Health Nurs., June 1, 2010; 31(6):385-393, https://www.ncbi.nlm.nih.gov/pmc/articles/PMC2908269/. Rebecca E. S. Anglin, et al., “Vitamin D deficiency and depression in adults: systematic review and meta-analysis,” The British Journal of Psychiatry, 2013; 202:100-107, http://bjp.rcpsych.org/content/bjprcpsych/202/2/100.full.pdf. Eyles DW, et al., “Distribution of the vitamin D receptor and 1 alpha-hydroxylase in human brain,” J Chem Neuronat., January 2005; 29(1):21-30, https://www.ncbi.nlm.nih.gov/pubmed/15589699. Alan C. Logan, “Omega-3 fatty acids and major depression: A primer for the mental health professional,” Lipids Health Dis., 2004; 3:25, https://www.ncbi.nlm.nih.gov/pmc/articles/PMC533861/. Maria Ines Pinto-Sanchez, et al., “Probiotic Bifidobacterium longum NCC3001 Reduces Depression Scores and Alters Brain Activity: A Pilot Study in Patients with Irritable Bowel Syndrome,” Gastroenterology, August 2017; 153(2):448-459.e8, http://www.gastrojournal.org/article/S0016-5085(17)35557-9/fulltext. Liam Davenport, “Probiotics Promising for Mild to Moderate Depression,” Medscape, June 21, 2017, https://www.medscape.com/viewarticle/881877. Papakostas GI, “Evidence for S-adenosyl-L-Methionine (SAM-e) for the treatment of major depressive disorder,” J Clin Psychiatry, 2009; 70 Suppl 5: 18-22, https://www.ncbi.nlm.nih.gov/pubmed/19909689. Hidese S., et al., “Effects of chronic l-theanine administration in patients with major depressive disorder: an open-label study,” Acta Neuropsychiatr., April 2017; 29(2):72-79, https://www.ncbi.nlm.nih.gov/pubmed/27396868. “Yoga Effective at Reducing Symptoms of Depression,” American Psychological Association, August 3, 2017, http://www.apa.org/news/press/releases/2017/08/yoga-depression.aspx. A. Uebelacker, et al., “Adjunctive yoga v. health education for persistent major depression: a randomized controlled trial,” Psychological Medicine, September 2017; 47(12):2130-2142, https://www.cambridge.org/core/journals/psychological-medicine/article/adjunctive-yoga-v-health-education-for-persistent-major-depression-a-randomized-controlled-trial/A22BB28F3B15149DAB0B3C4A1A96CE07. Willem Kuyken, et al., “Efficacy of Mindfulness-Based Cognitive Therapy in Prevention of Depressive Relapse,” JAMA Psychiatry, 2016; 73(6):565-574, https://jamanetwork.com/journals/jamapsychiatry/fullarticle/2517515. Madhav Goyal, et al., “Meditation Programs for Psychological Stress and Well-being,” JAMA Intern Med., 2014; 174(3):357-368, https://jamanetwork.com/journals/jamainternalmedicine/fullarticle/1809754.